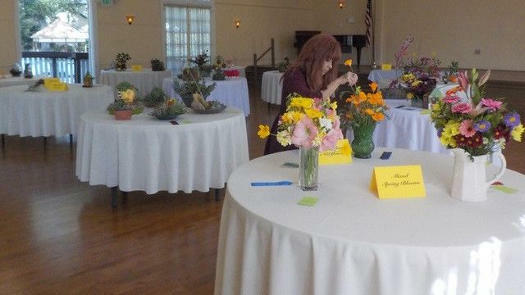 We hope you find the Garden Club site helpful, and look forward to seeing you at one of our events. 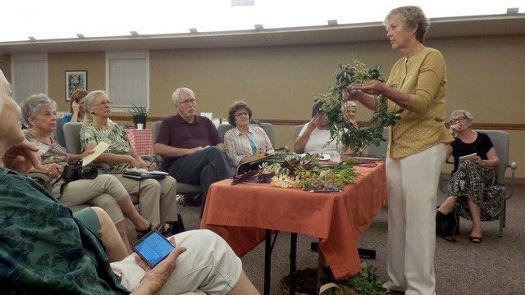 Garden Club meetings are free and open to all. Talks and demos cover both edible and ornamental gardening, and members bring plants, bulbs, and seeds to share. A chance to see some creative Claremont gardens, talk to the owners, and get some inspiration for your own garden! The tour provides funding for the club. Show off your skills in decorating with plants and arranging flowers — you could win a ribbon! Co-sponsored with the Woman's Club of Claremont. Added 4/15/19: The April 14 Garden Tour was a great success! We're already thinking about 2020 so if you'd like your garden to be considered, let us know--gardens are looking their best now. 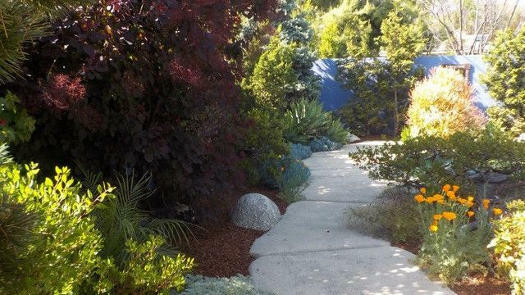 FYI: If you are planning a garden redesign, take a look at the new interactive online planner recently produced by Chino Basin. Did you know we have a monthly newsletter? Join us for gardening tips, plant information, and the latest news! Q: What is a safe way to get rid of those healthy looking grubs I'm finding all over my garden? A: Sounds like beetle grubs. Our September 2013 newsletter had a short article on them. A lot of these are larvae of those big, beautiful, iridescent green fruit beetles that buzz around later in the summer. I like them so I usually leave them alone. However, I replanted a very large pot last year and there were dozens so I just tossed them on the ground for the birds to find.